Liam Fox and the Department for International Trade are living in cuckoo land if they think we'll be able to 'roll over' all our trade deals after leaving the EU. The Confederation Of British Industry has just issued a stark warning for UK International Trade Secretary Dr. Liam Fox. The organisation has said he will not be able to deliver on his promise to ‘roll-over’ Britain’s forty existing free trade deals with non-EU countries in time for Brexit day – and argue a failure to secure the deals could “wipe out” entire sectors of the UK economy. 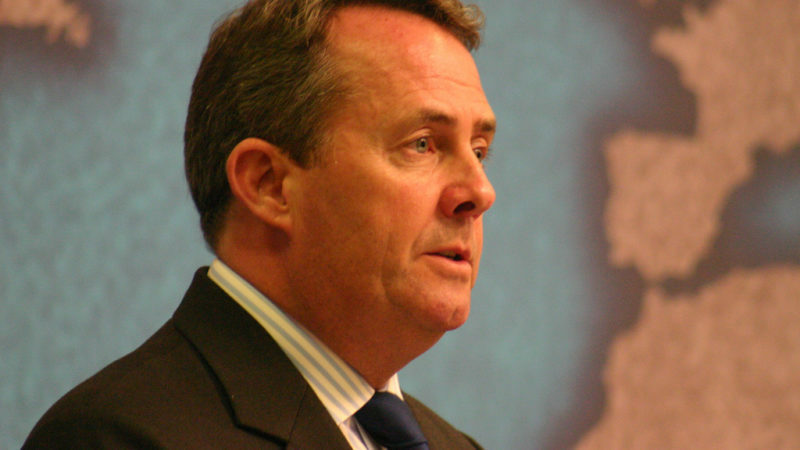 A wildly optimistic Dr. Fox promised – photocopier at the ready – to ‘roll-over’ Britain’s existing deals with non-EU countries, as part of its EU membership. In his words, this would be the ‘second after’ Brexit. “The UK fundamentally lacks the experience or the bandwidth to conduct twenty or more trade renegotiations in parallel to complete before the potential “cliff edge” of January 2021. The Department for International Trade however continues to repeat the mantra that Britain’s existing free trade deals can be carried over minus any renegotiation in a ‘smooth transition’ – ignoring the basic fact that in any renegotiation the other side will want concessions and changes. As the CBI says, the DIT has not got the capacity to do the deals and says those ‘third countries’ which made concessions to the EU may no longer be willing to give them to the UK standing on its own after Brexit. Since the Brexit vote Fox and the DIT has talked up the prospect of securing trade deals with China, New Zealand and Australia. The right wing media has backed ‘easy win’ fantasies like piggy backing on negotiations such as NAFTA, TPP or reviving TTIP. And the prospect of joining the ‘Norway’ EEA/EFTA agreement is not even on the drawing board, according to Norwegian union officials and journalists who expressed their alarm at the very idea, at a joint meeting and press conference on Brexit with Unite recently in Oslo. The European Commission has warned other EU institutions that it is “deeply concerned” about the UK’s lack of preparation for carrying over trade deals after Brexit. The Commission cited Fox’s “failure to grasp basic concepts and trade-offs” relating to the ‘roll over process’. Fox himself has done little but rack up air miles, chasing phantom deals notably with the USA, where his and Theresa May’s stock has shrunk to minuscule levels – witness the Bombardier tariff crisis earlier this year, where Trump cold shouldered both the PM and Fox, as well as the recent Trump steel tariffs debacle which saw Fox again jetting to the USA and coming back empty handed. The DIT’s failure to grasp the impact of not being able to automatically ‘roll over’ trade agreements, or see the lack of any sign of securing a trade agreement with the EU (which will provide the same benefits of being in the single market – as promised) – continues to sound alarm bells among trade unions, and employers – notably in our hard pressed manufacturing sectors. Tony Burke is Assistant General Secretary of Unite and a Contributing Editor for Left Foot Forward.